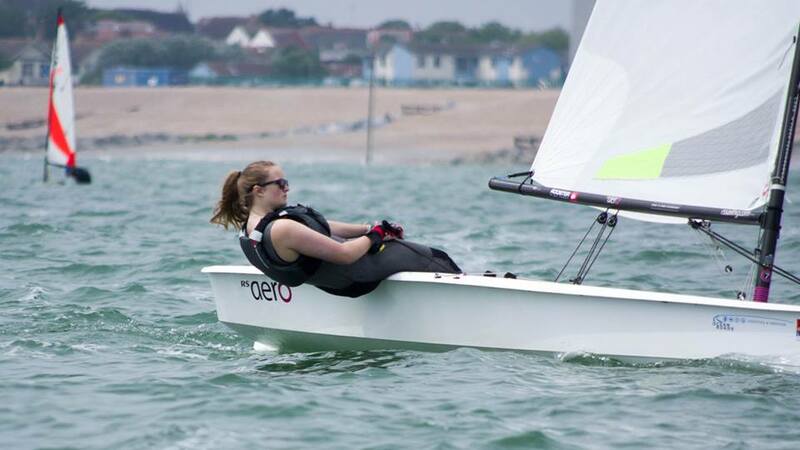 The RS Aero open in the south this weekend was at Felpham Sailing Club, ‘the seaside mecca of the central south coast’. 20 RS Aeros arrived alongside the RS Teras to a decent breeze of around 6-11 knots and were greeted by the lovely team of members who were helping out at the club. 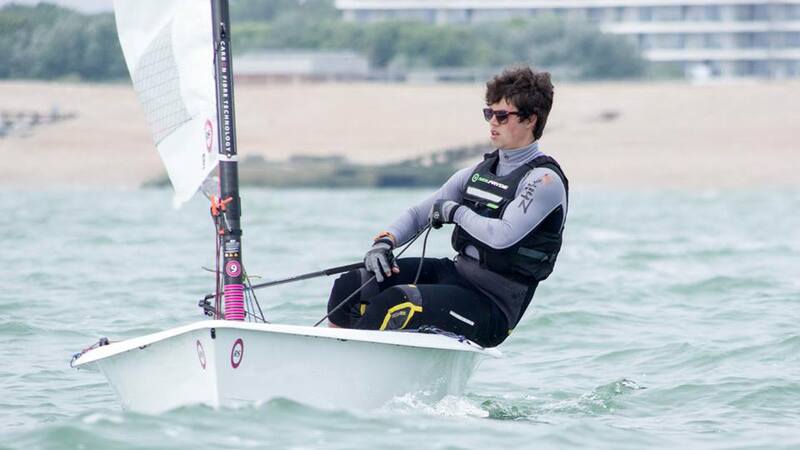 The first race was the windiest race of the day, and was won by Toby Schofield, RS Aero 7 rig, from Felpham Sailing Club. He was followed by Karl Thorne, also in a 7, and Chris Jones and Greg Bartlett who tied after the handicaps were applied. The wind began to drop off in Race 2, and after a rapid first leg, the fleet was led by Peter, Charlie, Greg (all in 9 rigs) and Jack Miller, making his RS Aero debut in his RS Aero 7 rig. This front group continued to gain on the fleet throughout the race and proved uncatchable for the rest of the fleet. A high reach mark and a left shift made for an interesting second leg, forcing most people to tack off, and some to even fall out their boats;). In the final race it was all to play for. 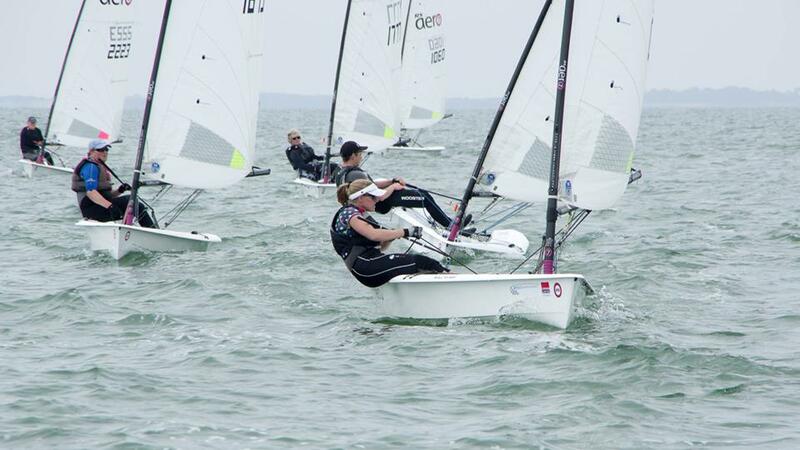 As the gun went on the start, the port bias became even clearer than it had been in previous races, and the hotly contested pin end caused many people to tack out onto port to get into clearer wind. After the start the wind began to shift and fill more and more to the left, and Caitie Atkin, “with cunning and tenacity” (thanks Peter:))) decided to sail far out the left along with Greg Bartlett and Chris Jones. Greg therefore rounded the windward mark in 1st position, with Peter and Charlie a comfortable distance behind. At the end of the second lap, the tables had turned as Greg appeared to stop in the middle of the course so Charlie and Peter sailed past. We later learn that this was as a result of him forgetting to tie a knot at the end of his mainsheet, and therefore having to re-thread it after it came out. The race ended with Charlie 1st in the 9 fleet, and Chris 1st in the 7s. In the final results, Charlie Sansom won overall, followed by Peter Barton and Greg Bartlett. Chris Jones was the 1st Master and RS Aero 7 rig in 4th place, Karl Thorne 2nd 7 rig in 5th, Jack Miller was the 1st Youth in 6th place and Caitie Atkin 1st Lady in 8th. Tomorrow there is coaching with the winner of the 7s, Chris Jones, and 8 boats are currently signed up for what should be a fun day on the water! We would like to thank everyone at Felpham SC who helped lay on a fantastic event, including everyone that helped with the launching and recovery of all the boats, the ladies at registration and in the canteen, and the race committee for managing to get three good races done in tricky conditions. 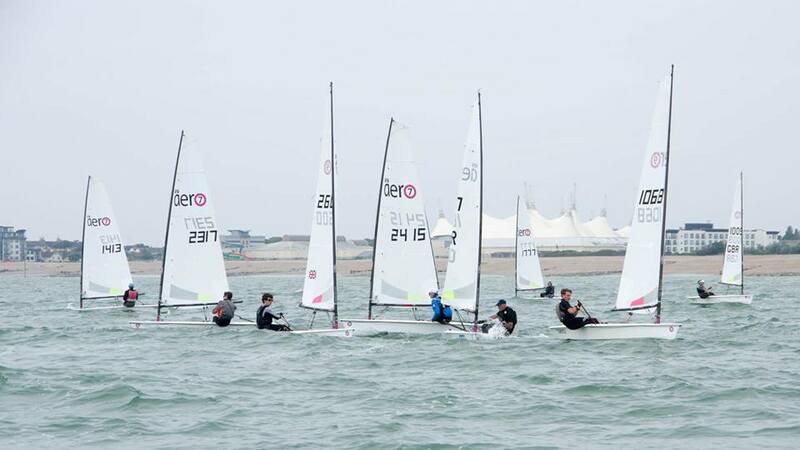 This weekend has been a great coastal warm up for the RS Aero World Championships at Weymouth, which currently has 145 entries! The early entry discount ends at the end of this month, so make sure you register and pay online asap for what will be a great event! Next up in the south is Round 3 of the RS Aero UK Southern Circuit at Lee on Solent SC on 23/24th June.